I want to do a review of different styli (styluses) used for iPad Sketching. That's because this week I bought my second stylus for sketching having seen both the Hockney Exhibition at the RA on Tuesday - which includes his ipad sketches - and a video film of Hockney using a stylus for his iPad Sketching. Now I want to know if there are any that are better. However I now want to know more about what's available! If any readers are using a stylus with your iPad can you please get in touch and tell me how you find the stylus you use - see end for more details. The Griffin website store indicates that they do them in various colours - so all I need to do now is work out where to get one in my favourite colours. However before I do that I want to see if there is a better stylus out there. The general consensus is that it's easy to use and is particularly helpful for those with fat/large fingers and for those wanting to work creatively by drawing or sketching. It has an omnidirectional rubber tip which is very sensitive and reproduces every characteristic of the stroke I used in the Brushes app exactly. I use both pastels and pencils in a way which means they are held lightly - and I can do exactly the same with this stylus and get identical results. I also found that producing sketches speeded up enormously because now I could see the sketch while sketching rather than having it obscured by my hand. It's also great for keeping your screen free from smears from fingers. The clip on the end means I can fix it to the elasticated closure on my iPad cover. However I'd still like a better way of keeping it secure. One complaint is that the rubber on the end can disintegrate - and there's no obvious way in which this can be replaced. I'll see how I can get on with it and will report back. However initial impressions are very favourable - apart from the fact I lost the first one within 24 hours of buying it! Is there any other stylus you recommend? Serenity Caldwell at Macworld.com produced a comprehensive Macworld review Drawing on the iPad: 12 touchscreen styluses reviewed in May 2011. This covers the Griffin Stylus which earns 3.5 stars. See the charts at the end for details of how each did - plus the video below for an insight into what each looks like and how they work - and whether they are effective. Is there any other stylus you've used for DRAWING and SKETCHING that you would like to recommend? Back in 2006-7, I nearly became a conduit for David Hockney fans all over the world who wanted a copy of the DVD of David Hockney's sketchbooks. (See David Hockney: Fifteen Sketchbooks 2002-2003 - Update on DVD availability and David Hockney "15 sketchbooks" DVD - a further update). dedicated facsimile sketchbook aficionados out there who get very excited every time a new facsimile sketchbook by a famous artist is made available. This review looks at the new sketchbook - and also considers it within the context of the DVD ($39.95) which I think is now only available via the Hockney Store website based in Los Angeles. I own a copy of A Yorkshire Sketchbook - but then I'm a die-hard Hockney fan and I always buy his sketchbooks no matter what the price. I'm very happy with it - but I think others will think it just a tad expensive at full price. Synopsis: This is a small facsimile sketchbook of one used by David Hockney in April 2004 - as the hawthorne blossom was coming into bloom. It contains 92 pages of sketches within a leather bound handback cover and a slip cover incorporating a watercolour painting. There are no words or associated text. Most of the sketches are in a panoramic format across a double page spread of this landscape format sketchbook. Sketches are mostly in watercolour or pen and ink and are monochromatic with some use of a limited palette - typically based on traditional renaissance colours of blue, green and red. Summary review: RECOMMENDED - This is the nearest you'll ever get to handling a Hockney sketchbook. It's different rather than better than the DVD of his earlier sketchbooks. The DVD has 15 sketchbooks and many more images. This is "like" the real thing insofar as it is a facsimile of a small sketchbook measuring 21cm wide by 14.5cm high. It remedies the distance introduced when viewing images from a sketchbook as individual images on a screen. It's also much more like looking at the sketchbook of a friend - with all the associated fluctuations in media use and quality of sketch. It's much easier to pick up the transitions in thought processes behind what he sketches and how he is sketching. It's also easier to flick through and easier share with a friend. I've also seen the real sketchbooks and this facsimile offers good quality reproduction of the sketches. good quality binding, paper and cover - just like a good quality sketchbook! 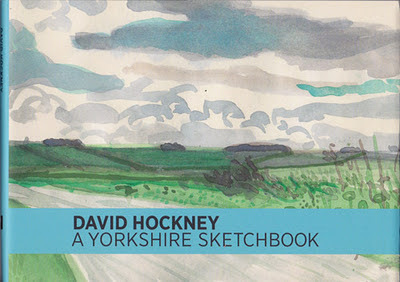 you can view different Hockney sketchbooks in the exhibition David Hockney RA - The Bigger Picture. Maybe view these first? Those not familiar with a day to day sketchbook might have an unrealistic expectation that there would be more and/or better sketches in this sketchbook. However those who use sketchbooks on a regular basis already know that not every sketch an artist produces is a little gem! Hockney does not hide or exclude his "failures". people who collect "real" sketchbooks by famous artists - for posterity! There's no need to pay full price as it is available for a discounted price on Amazon (I've included the links) and possibly in other stores as well. I've no idea whether or not this will come out as a DVD. It's entirely possible it will only be a limited print run - in which case it could become more valuable. In recent years David Hockney has returned to England to paint the East Yorkshire landscape remembered from his youth. 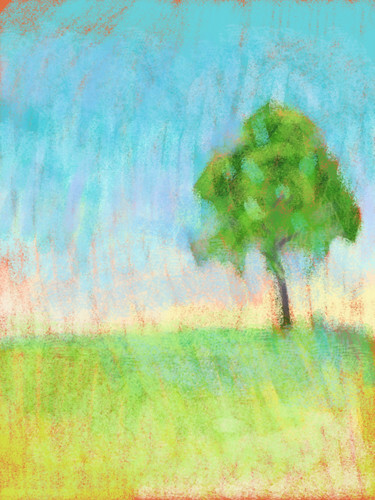 Although his passionate interest in new technology has led him to develop a virtuoso drawing technique on an iPad, he has also been accompanied outdoors by the traditional sketchbook, an invaluable tool as he works quickly to capture the changing light and fleeting effects of the weather. Executed in watercolour and ink, these panoramic scenes have the spatial complexity of finished paintings - the broad sweep of sky or road, the patchwork tapestry of land - yet convey the immediacy of Hockney's impressions. And as in the views down village streets and across kitchen tables that appear alongside them, his rooted and fond knowledge of the Yorkshire Wolds is always clear. If you know the landscape there, the character of the sketches is unmistakable: if you don't, it will come to life in these pages. 92 pages, 14.5 x 21cm, 43 illustrations. 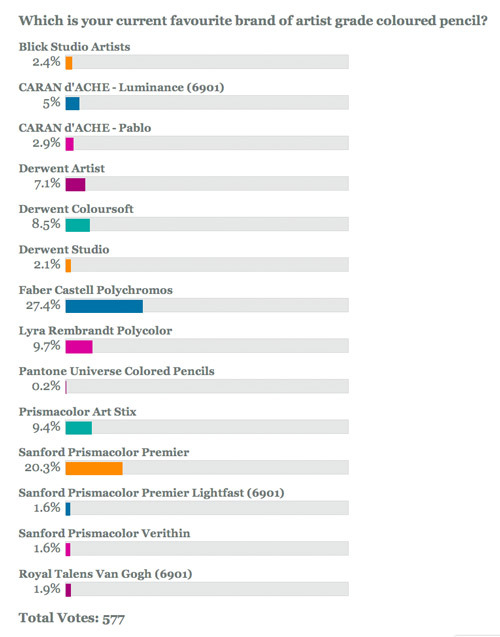 577 people voted during 2011 in the 2011 POLL: Which is the best brand of artist grade coloured pencil? to determine which is the best brand of artist grade coloured pencil on Coloured Pencils - Resources for Artist. The Favourite Lightfast (6901) Coloured Pencil in 2011 - Caran d'Ache Luminance (this is a pencil which is accredited as being compliant with the standard ASTM D-6901 for testing Lightfastness in Coloured Pencils created by the American Society for Testing and Material. Which means "no change" from last year. At the end I've got a table which show the changes between 2009 and 2011. The emphasis of the poll is at looking at your CURRENT FAVOURITE coloured pencils. This is on the basis that each year brands are upgraded, new products are introduced and coloured pencil artists try new pencils - and they can change their mind about which pencils they like to use best. Both Faber Castell and Sanford Prismacolor are maintaining their position from last year, while Sanford has now established that the recovery in 2010 was no 'flash in the pan'. Caran d'Ache Luminance appears to be maintaining its popularity with those who want accredited lightfast coloured pencils - despite the price. However the popularity of their Pablo pencils has diminished. With Derwent, the Coloursoft brand is holding up well with the Artists and Studio Pencils (which have both been around for a very long time) losing some ground. The probable explanation for the drop in the Talens Van Gogh drop is almost entirely accounted for by the fact they are no longer exported to the USA and hence are only available there is you order them from Europe. For some reason they keep being described as "discontinued" in the USA (even on the CPSA website!). There's a lot of difference between "discontinued" and "no longer available in the USA"! I just did a very quick search online and found them on the iartsupplies website. You can now vote on the 2012 POLL: Which is the best brand of artist grade coloured pencil? 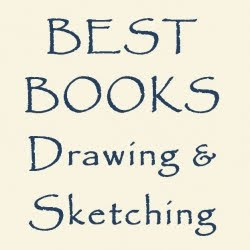 and/or reviews of art products and art books in 2011.